How Far is Maruthi Meadows? Maruthi Meadows is coming up with beautiful flats having abundant space and soothing interiors. Each apartment is being built with choicest flooring's and fittings. These elegant apartments are coming up for those who needs everything best in their life. 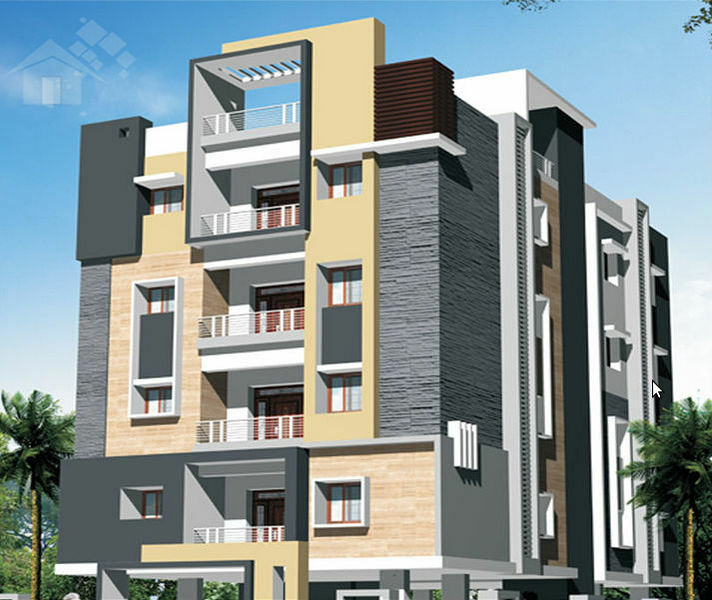 Offered in a range of 2 BHK, these are built with top branded flooring's and fittings. Antiskid Ceramic Tile Flooring of standard make in all Toilets and Glazed Tile Dado upto Door height. Wall mixers with showers in Toilets Jaguar (Continental) make. European WC's are of Hindware make, Wash Basin in Dining Hall. Prince PVC Pipes for Sewerage Lines, CPVC pipes for all Inlet & External Water lines. Birla Wall Putty finishing in Hall, Drawing, Dining and Bed Rooms with Tractor Emulsion, Ace for External Walls of Asian Paints. Enamel Paint for Doors and Grills. Fine Cab concealed Copper Wiring with Adequate points in all Rooms. 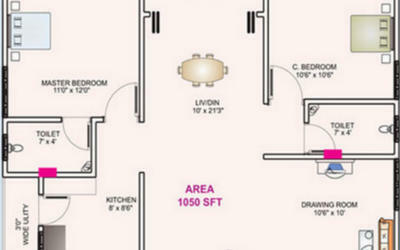 A.0 Points and Two way switches will be provided in Master Bedroom. Modular Switch Board of Havells make for Electrical Points. Telephone, TV Points in Hall and Master Bed Room. Mr. Dayakar is the Managing Partner, with 15 years of experience in Civil Construction and completed no. of Projects like.. Apatments, Indepedent Villas in and around Hyderabad. Maruthi Builders has an impressive projects portfolio that signifies its strong status as a pioneer in the real estate development. The company offers the best real estate ventures with all the supporting infrastructure facilities. The company believes in team building and in giving best value for money to its esteemed clients. We provide innovative range of housing solutions which are cost effective, market driven and are in conformity with the quality standards of real estate industry. The consultants at Maruthi Builders provide impeccable and professional service to the clients. They give precise, up-to-date information and promotional material for the layouts of the venture. The consultants also help clients with pertinent information on the organizations and developmental projects that are coming up in the vicinity of the venture.